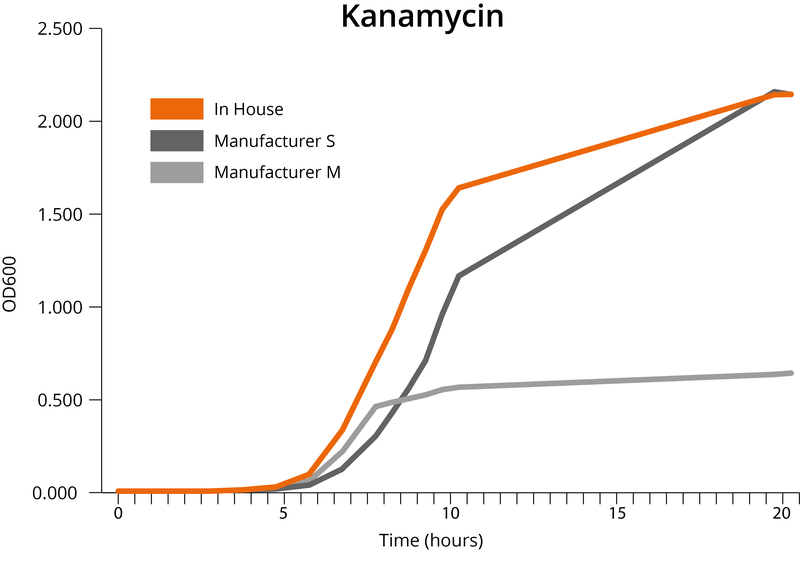 The aim of the study was to determine whether the source of LB media for the growth of plasmid in E. coli would have an impact on plasmid yields. 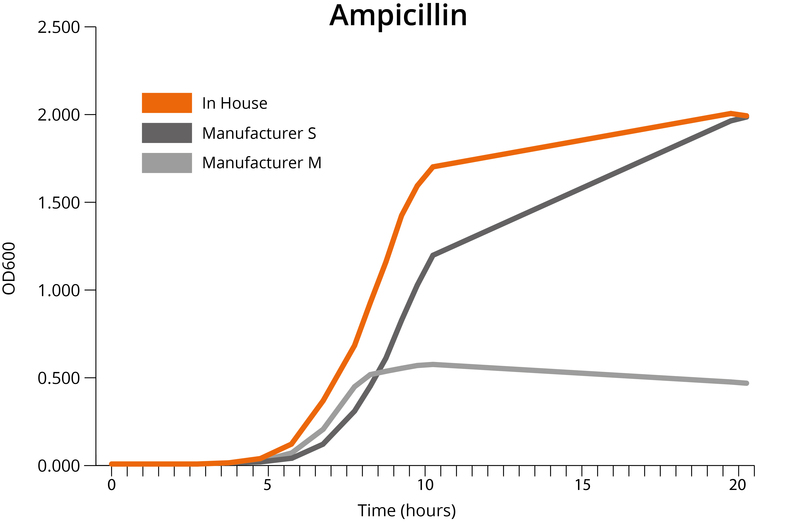 100ml of each media under investigation was prepared with ampicillin or kanamycin, and inoculated with identical starter cultures of E. coli containing either an ampicillin resistance plasmid or a kanamycin resistance plasmid. Cultures were incubated at 37°C with shaking and readings for OD600 taken at regular intervals. Results for both resistance genes were nearly identical; in house LB outperformed commercial LB in terms of reducing lag phase and entering exponential growth quicker. Shockingly, LB from Manufacturer M plateaued at a far lower OD than the other two media, suggesting a critical nutrient had been exhausted. Higher OD = better yield? It turns out that this is also not always the case. 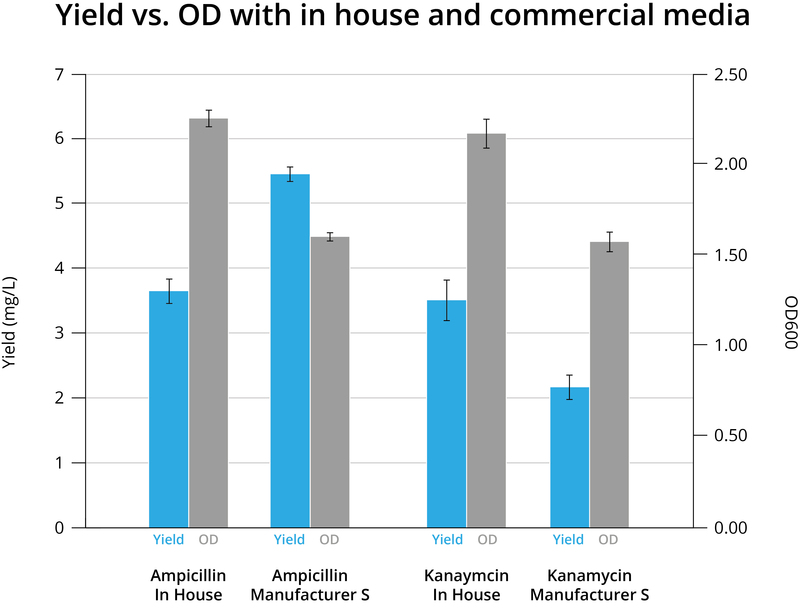 Four different genes on two different plasmid backbones were grown in the two better-performing media for 16 hours then harvested, midiprepped, and the plasmid DNA yield measured by spectrophotometry. Results followed the same pattern for each gene, so have been combined for simplicity. 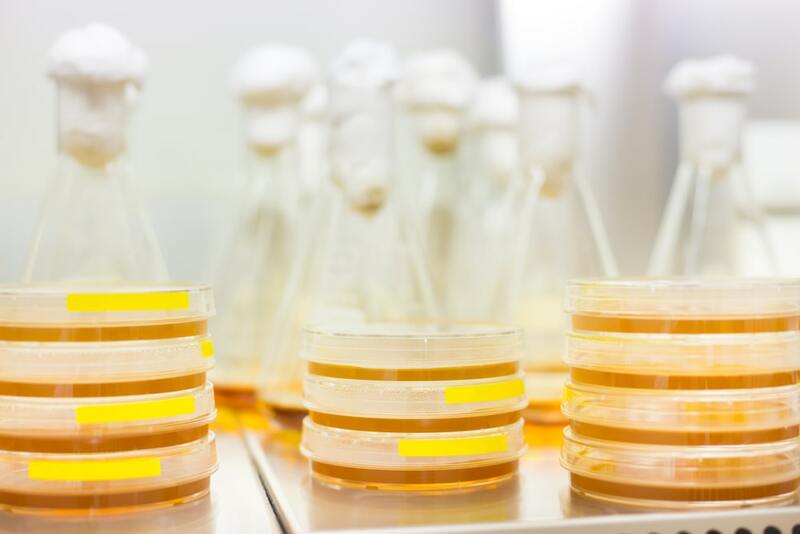 For more information on how we can help you with your plasmid production, please visit our Contract and Custom Services page.